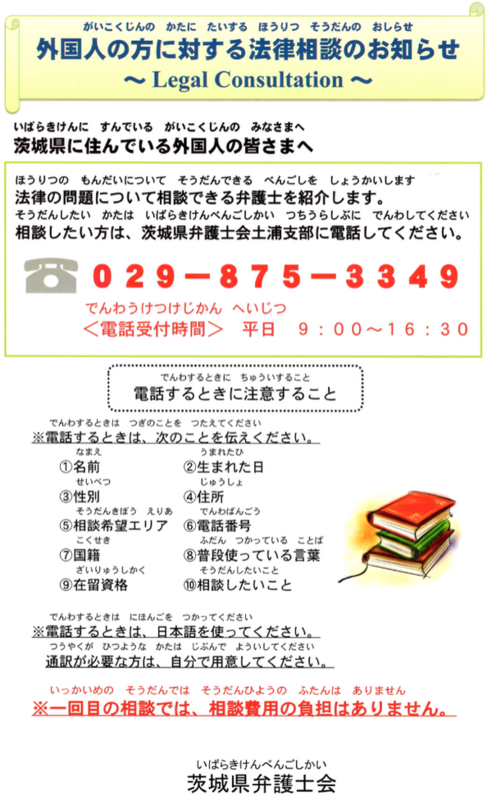 TIFA organizes monthly throughout the year 「Free Consultation for Foreigners」. Your Immigration/Residence/Invitation Permission/Temporary Work Permission/　Residence qualification Permission/Update of Residence Permission Period. Please contact us by phone and make an appointment for consultation telling them in brief on which issue you need consultation. The date & place for consultation will be known after appointment.